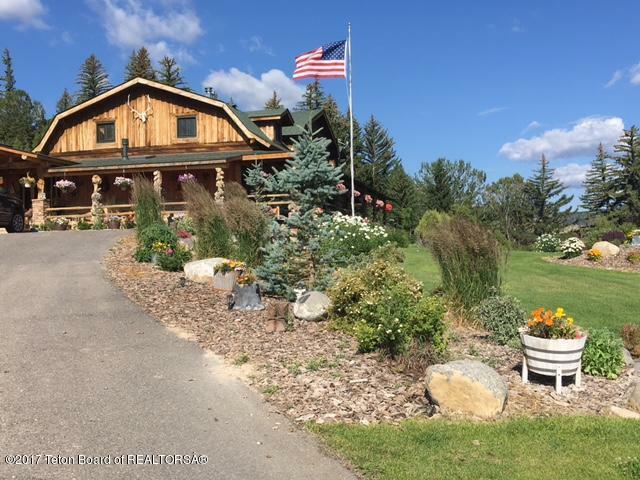 This beautiful property overlooks the Wind River and is one of Dubois' Gems! This estate is being sold as one 19.36 acre property OR 2 separate properties. 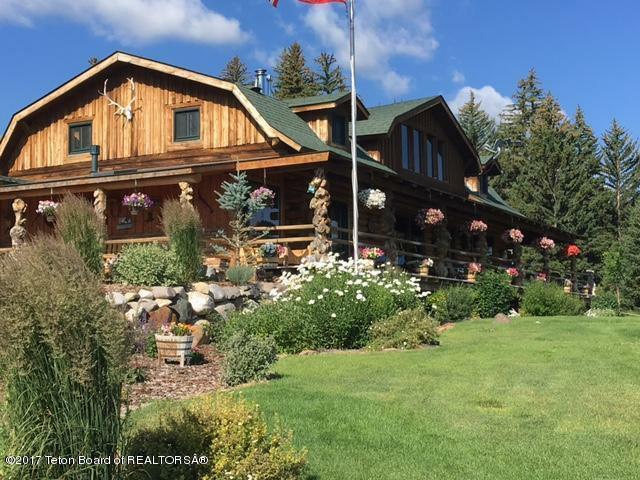 Log home Estate with 4.5 ac & a separate 14.86 ac with Barn. The home property is listed at 875K, and Barn is 330K. 4.5 ac Quintessential original 4800 sq. ft. Wyoming log family home arguably one of the finest views in Wind River Valley. This home recently under went stunning renovations including Master Suite with walk in granite shower, soaking tub, gas fireplace, and all granite gourmet kitchen. 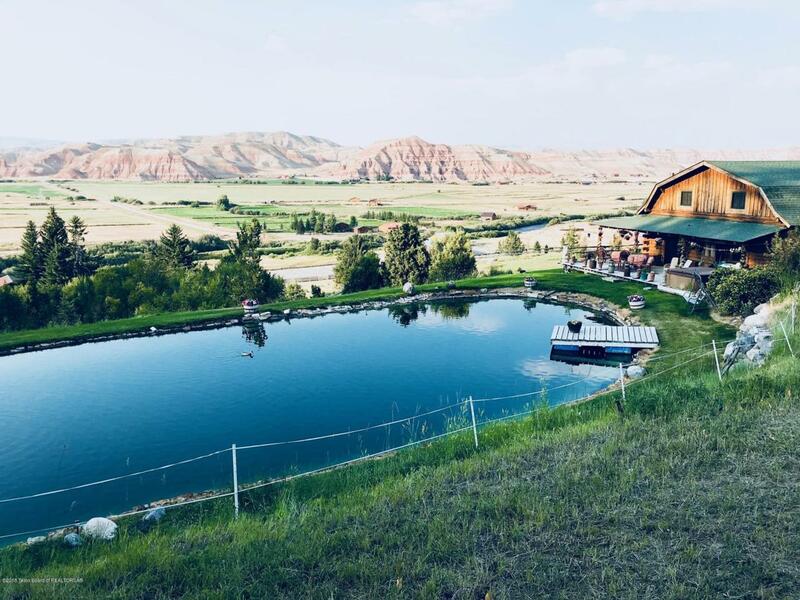 Superior quality of construction.Large wrap around porch to relax with incredible privacy overlooking Jackson Hole Land Trust Conservation green pasture reaching to inspiring Wyoming mountains and red rocks that go forever. Soak in yourHOT-TUB in peaceful tranquility next to your personal & private pond. Outdoor living to your hearts content with Ramshorn Peak and Absaroka Million $ views! Horses allowed. Bring your outdoor recreational toys and close to backcountry world class snowmobiling, horseback, hiking, fly fishing and mtn. biking and hunting, Wyoming Mtns & Wind River access points. This family recreation estate has been given creative touches everywhere you look. From the detailed landscaping, covered porch, to the entry that ties the country outside to inside with rusted metal barn doors, porcelain tile floor through to the kitchen. High end finishes of rock/granite/wood/knotty log through out this home with 4 sources of heat including electric, wood, propane and pellet stove. Attached greenhouse to complete this one of a kind paradise. The new barn property adds 14.36 acres to this property for your guest house or could also be purchased separately for your own mountain dream home. Barn is heated with covered hay storage. Purchase the entire estate and utilize the heated Barn and extra acreage as you desire - RV parking/storage/indoor activity space for children, the sky is the limit! THIS IS A MUST SEE!